1 . Boil the water about 15 minutes in the pot with about 10 piece of dried anchovies. 2. Take out the the anchovies from the pot. 4 After the seaweed gotten soft, put claims or Mussel. Do not boil the Jogaesal ( claims or mussel ) too long, because jogaesal gets tough. 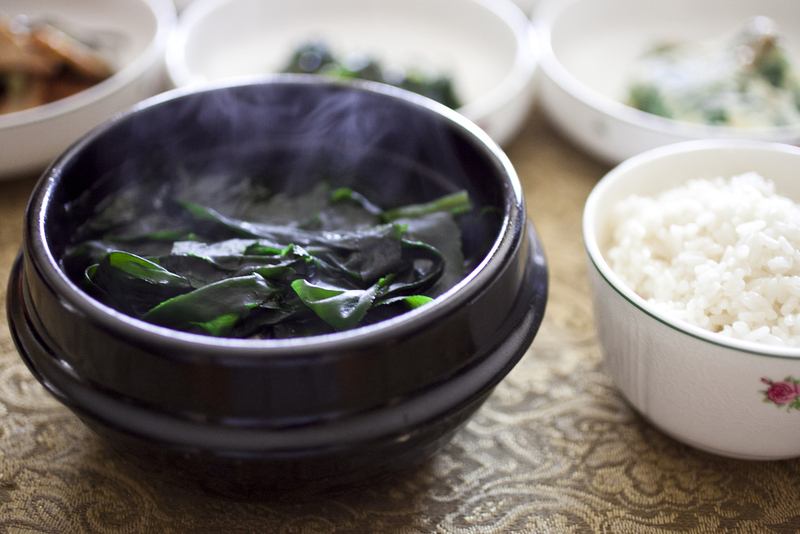 5 Add little sea salt into the well boiled seaweed in the pot. 6 Keep remove the bubbles occurred during cooking. 7 Adjust the taste with the soy sauce and sea salt. 8. Lastly mix the minced garlic in the soup and turn off the heat.